Brian Kim leads the Sydney Family Wealth Management team with strategic financial and investment advice. Whilst based in Sydney, Brian also supports clients in Brisbane. Through Brian’s leadership, the Sydney Investment team tailors recommendations from the Investment Committee to individual portfolio investment and asset allocation goals, while he also leads the Strategy team in Sydney who provide holistic financial advice to all clients for the best personal finance structures from family trusts, companies and estate planning to mortgages, insurance and super. As a highly valued mentor, Brian’s training expertise complements his wealth management background and investment knowledge across all asset classes. He’s passionate about educating his clients about how their investments support their family wealth. He says, “The key is to invest in something you understand and believe in. What may be a great product for one person, may not necessarily suit you. That’s why it’s important to have advice about whether it is right for your overall situation”. Brian loves the firm’s wealth management approach, and says, “We’re fortunate to have such an experienced group of investment and wealth management leaders whose global expertise and progressive thinking gives clients exposure to new asset classes and access to up-to-the-minute advice and legislation to support sound strategic financial decisions”. Brian’s career has seen him move through the ranks of Dixon Advisory from analyst and adviser to associate director supporting the management of the team. Today as Director, Brian is still as passionate as ever about partnering with clients to provide strategic advice on managing wealth. 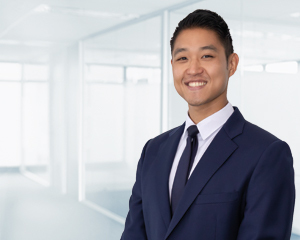 Brian joined Dixon Advisory as an Investment Analyst, having completed his Bachelor of Commerce, majoring in Finance and Marketing at the University of New South Wales. He also has a Professional Diploma in Stockbroking from the Stockbrokers Association of Australia and a Graduate Diploma of Financial Planning from Kaplan.